“I can’t even walk to class without some guy being super inappropriate toward me. It makes me uncomfortable at times,” said American River College student Julia Smith. “Catcalling,” the act of uninvited sexual advances, physical or verbal, has been running rampant through the halls of American River College. Daniel Chin, another student, feels that whether or not catcalling is a problem for someone comes down to a simple factor; their gender. In the conversation surrounding harassment, catcalling isn’t spoken about as often because there are many people who still don’t feel that it’s offensive. “I cannot even count how many times some guy would make me feel uncomfortable by calling me names, thinking he was complimenting me,” said student Melinda Hernandez. Several students were asked how they felt ARC could control the incessant catcalling on campus and where they think the problem comes from. Several students have no idea where to look for assistance in terms of sexual health or where or how to even file a complaint against a student or faculty member when they’ve been harassed. “If someone was sexually harassing me, I’d probably just avoid that person or maybe go to the police station on campus. I’m not sure where I’d go to talk to someone about it,” said Hernandez. All sexual harassment claims should be reported at the Instruction Office inside of the Administration building. But what happens after a sexual harassment complaint is filed? Students like Johnson are questioning how serious campus officials will handle sexual harassment cases. “Nothing will probably happen if someone just files a complaint. Those things aren’t taken seriously. 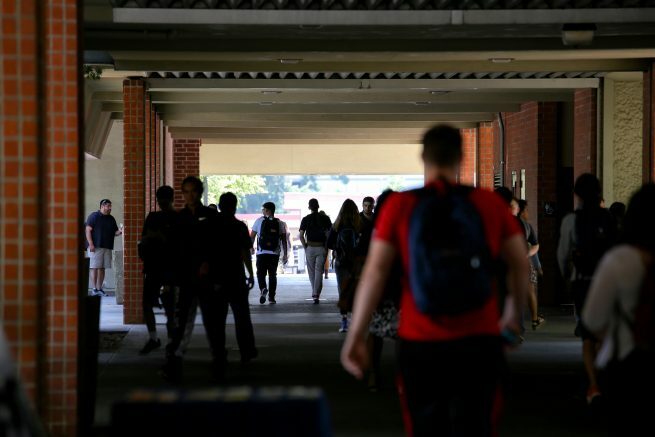 We need to do a better job on connecting with students,” he said. For any questions or concerns pertaining to sexual harassment and sexual health, the sexual health office opens every Tuesday at 10 a.m. and is located in the Administration building. Sexual health services remain confidential and supply services such as birth control, pregnancy tests, STD screenings and emergency contraception. Be the first to comment on "Opinion: sexual harassment at ARC affects students"